The Gobogroup is a association of small efficient goboproducers all around the world. 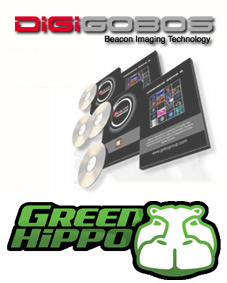 They all produce and deliver gobos very fast and with high quality. The business idea is to give the customer high quality service and gobos when they need it and not when it suites us! All members get their material and technical support from Beacon AB in Sweden. The products are aluminium gobos , B/W glass , Greyscale and a Patented Full colorgobo and DigiGobos. If you don´t know what a gobo is , check this out!